Featuring free WiFi and a barbecue, Guest House Infanta offers accommodation in Loo, 600 metres from the Black Sea beach and Loo temple. Free private parking is available on site. The rooms have a TV, fridge and kettle. Suites offer a fully equipped kitchen and seating area. You can play table tennis at the guest house. Akvaloo Water Park is within a 5-minute drive of the property. 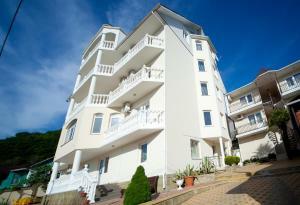 The nearest airport is Adler-Sochi International Airport, 39 km from the property. 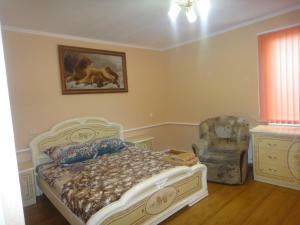 When would you like to stay at Guest House Infanta ? This suite has a barbecue, electric kettle and private entrance. 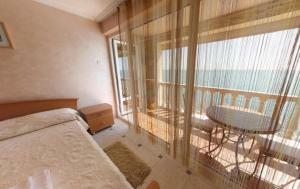 This suite has a balcony, kitchenette and tile/marble floor. This twin room has a dining area, barbecue and kitchenware. This triple room has a private entrance, kitchenware and barbecue. This triple room features a dining area, barbecue and electric kettle. Each day we'll check prices and send you an email for your selected dates at Guest House Infanta. If you don't have specific dates but would like to check prices for say next weekend or say next month we can check the price too. Click to write a review and share your experience of Guest House Infanta with other travellers.